Kaspersky Virus Removal Tool 15.0.22.0 (2019.02.28) Portable » SoftLab - портал portable-софта! The Kaspersky Virus Removal Tool application was designed to be another virus scanner and detection software from Kaspersky. The produst will scan the specified locations for any virus threats and remove them or send to Quarantine folder. 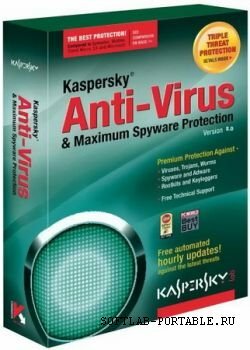 Kaspersky Ant-Virus provides full-scale protection with some additional protective components a behavior blocker and integrity checker; appropriate for experienced users seeking the best anti-virus protection. предлагает лечить или удалить.прога Portable.оценка -отлично. Ничего хорошего в ней нет.На офф сайте тоже портабле и обновляется по 5 раз в месяц. Какой же это Portable, если в архиве обычный setup от Касперского!